Photographers who were shooting a lot of location flash in the 80s and 90s will remember the prevalent use of hammerhead flashes. These were essentially hotshot flashes on steroids. Rather than four piddly AA batteries, the hammerhead flash required four DD batteries. This made it big and heavy - heavy enough that it now required to be mounted on a small grip which was bolted via an arm to the tripod bush on the bottom of the camera. The advantage of the increased power was obviously increased power, but also significantly shorter recycle times. 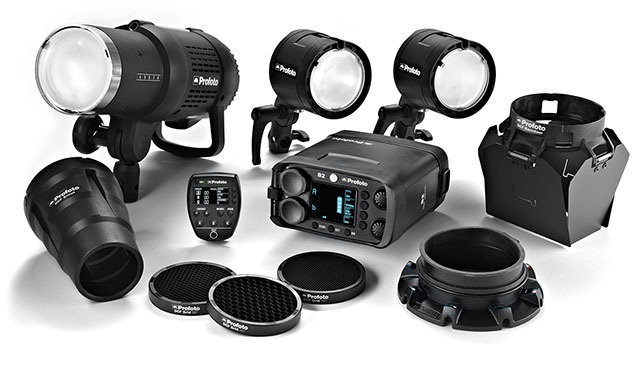 Also available though, were the iconic Quantum flash and the Norman 200B flashes. These were small bare-bulb flashes that fired off of a battery pack which was worn on a belt or tied to the light stand. The Quantum was a staple for many wedding photographers as it blended the flexibility of hot-shoe flashes with the power and light shape of a mono block or studio flash. Fast forward to 2016 and the field has enlarged significantly in terms of available battery-pack flashes. Not only are there more bare-bulb and battery pack flashes, but thanks in large part to the Chinese flash manufacturers, they are very affordable. 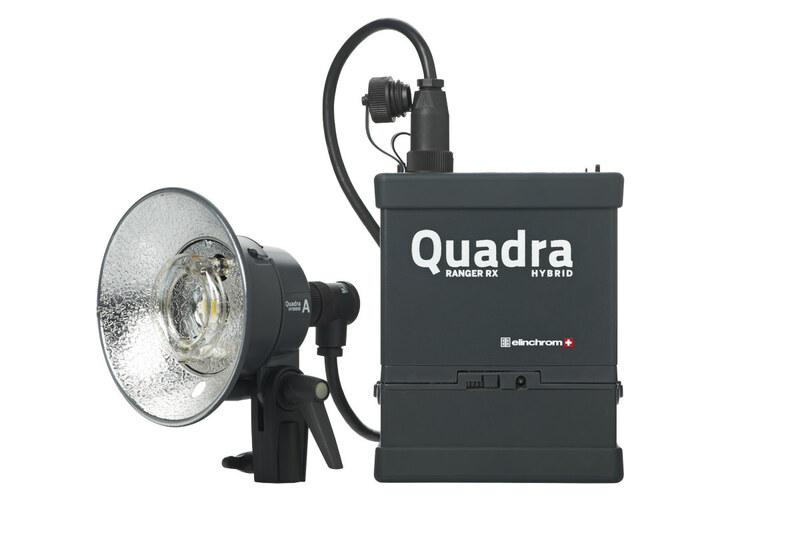 For the last decade the de facto location light for many professional editorial and wedding photographers has been the Elinchrom Quadra. This is a portable pack and head system allowing effectively studio quality light and power off a battery system. The Quadra can get the photographer as much as 500ws (watt seconds) of light, but it is very expensive (an entry level one head kit with Li-ion battery comes to R26 000). Essentially one head and battery will cost more than a full 500ws lighting kit (often referred to as a 1000ws kit as there are two light of 500ws each) consisting of two lights, stands and soft boxes (the ever popular 500BRXi kit which I myself own currently retails for around R27 000, but can be gotten secondhand for as low as R10 000m but a lower setup retails closer to R18 000). It’s no surprise then that photographers would often choose between a studio setup of lights or a hot-shoe setup of lights (the theory being that a set of hotshoe flashes is significantly cheaper - this is not necessarily the case when you consider that a Nikon SB 910 currently retails for around R12 000). The Quadra promises to be both, but with a stiff premium in the price tag. The goto pack and head system for many photographers (including Joe McNally) for the last decade or so had been the Elinchrom Quadra series of battery packed strobes. Profoto have now entered the fray, and aggressively so with their new B1 and B2 pack and head systems. The B2 is a 400ws head and pack that targets the Elinchrom Quadra directly. It can shoot in HSS mode (meaning you can sync your flash all the way to 1/1000th of a second) and even has TTL flash metering with Canon and Nikon cameras. It might be cheaper than the Quadra, but it is still extraordinarily expensive. So the average professional photographer is still left choosing between conventional studio lights or a strobist system of hot-shoe flashes. This is where the American and European flash companies may have lost the plot a little in my opinion. Professional photographers have to start somewhere. Most of the optimum flash kits are too expensive to purchase which leaves renting as the only feasible option. Except, if you shoot regularly with flashes this isn’t a realistic option unless you have a good rental house in town. this isn’t always the case unless you live in a major centre. Once more we fall back to strobes and rely on second hand marque units and cheap YongNuo generics. Or do we? The Chinese manufacturers have long been known for their clones of Japanese, American and European equipment, except now we are increasingly seeing new and innovative equipment coming out of Chinese factories. For strobists in particular there is the very interesting Godox AD360 which is also available under the guise of the ‘Cheetah Light’ in the US (and ironically cloned by Menik, another Chinese manufactuer). The AD360 is a 300ws battery pack powered bare-bulb….hot shoe flash. It essentially blends the convenience of a hot-shoe flash with the power and light ‘look’ of a studio flash. The newer AD360II version even has TTL metering with Nikon and Canon and both the older and newer version are capable of HSS. And the price? Just less than a single Nikon SB910 (bearing in mind that it has the power output of four SB910 at full power). Power. A smallish 300ws light produces four times the lighting power of a top of the range Nikon SB910 or Canon 600EX. Also, unlike smaller hot-shoe flashes they handle heat dissipation significantly better. As an added bonus, because there is more power, recycle times at anything less than full power are almost instantaneous. The Battery. Yes, a big Lithium Ion pack is cumbersome and heavy and certainly not as easy to find as the ubiquitous AA battery, but the pack holds far more power than a bucket load of AAs. As an added bonus some manufacturers allow you to plug your conventional hot-shoe flash into the battery, giving you more pops and better recycle times. Location lighting doesn’t stop at 300ws though. 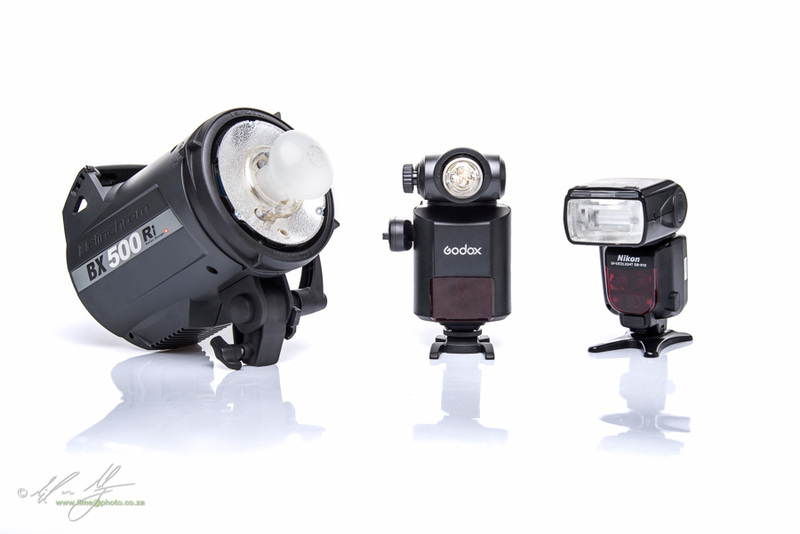 Phottix and Godox have both recently introduced battery operated mono blocks that put out 500ws. Chatting to Broadcastlighting in Durban, their best selling flash is the Menik FN-600 Studio lighting in a portable package is now readily available, and importantly, affordable. These bigger units even have modelling lights (personally I have never been bothered by modelling lights but I do see the attraction and value of them in fine-tuning lighting). Yes, if you have the money you can put out for the Profoto B1 flash head; a a TTL, HSS, battery powered 500ws light. I tested out the B1 and B2 heads at a recent launch in Durban and they were phenomenal. Utterly phenomenal. However the price tag was more than eye-watering. I personally need my lighting gear to pay for itself within a year. There is no way a B1 would pay for itself with the work I do in that time frame. Battery pack systems offer size and convenience over AC powered mono-blocks. So there is a middle ground now when setting down the rabbit hole that is flash photography. 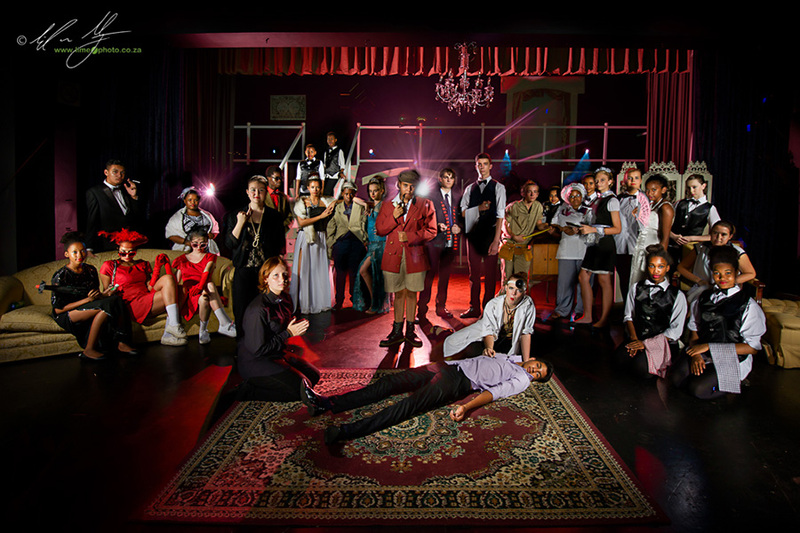 It is strongly represented by manufacturers that produce everything from affordable to premium lighting equipment. If lit photography is your thing, I would now recommend considering a battery packed lighting system BEFORE going the whole hog into full-blown strobism with hot-shoe flashes, or plumping for a studio lighting setup. Godox in particular seem to be aiming their Witstro system at editorial and location lighting photographers. 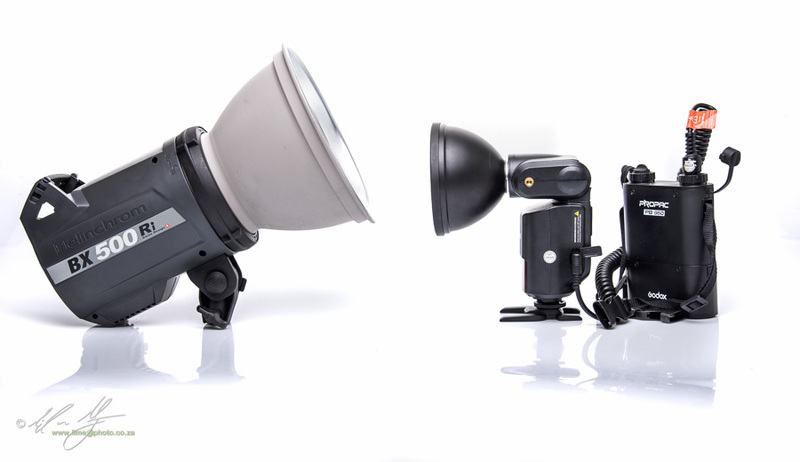 You can now mix and match their hot-shoe flashes with the AD180 (150ws) AD360 (300ws) and the newly announced AD600 (giving 500ws). All of these can be remotely controlled and triggered from the same commander unit. There are disadvantages to mixing your lights, which I will cover in a future article, but the lighting potential and possibilities are wonderful at the moment.